With a dedication and commitment to improving people’s lives using advanced technology, innovation, quality, value, and design, it’s no wonder that more businesses worldwide trust Sharp Professional LCD displays to share their message than any other brand. From its AQUOS BOARD™ Interactive Display Systems to ultra-slim bezel video walls and standalone digital signage displays—Sharp has the right product to convey your message with brilliant clarity. 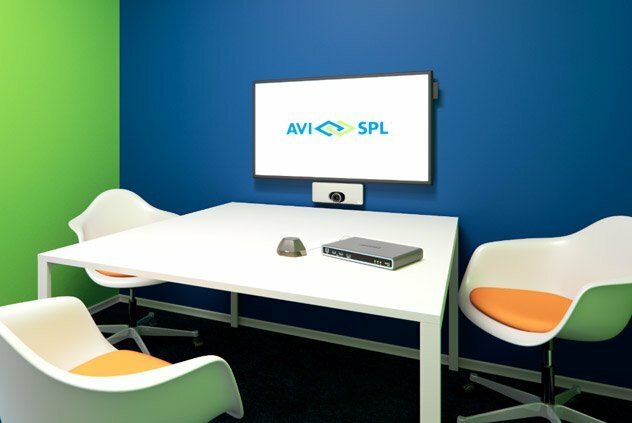 As the world’s largest and most trusted AV integrator, AVI-SPL partners with innovative digital solution manufacturers—like Sharp—to give you access to the most advanced display technology available. Easily engage and inspire everyone in the room with the Sharp Aquos Board interactive display system. Collaborate with team members and make annotations with your finger or a pen. Using multi-touch sensitivity, up to four people can freely exchange ideas on the screen at the same time. Displays that carry video conferencing and digital signage keep learners connected and up to date on school-related information. In the boardroom, staff collaborate on a high-resolution Sharp Aquos board. Digital panels throughout this military facility carry video feeds, including information from the Navy's network. Six LCD displays form a circular jumbotron that participants can use to comfortably share and watch presentations. AVI-SPL and Sharp work together to enable presenters and advertisers to think BIG, with exceptional video quality displays for crisp, clear text and intricate graphics. Sharp is the #1 selling brand of Large Format (60″ + class) Commercial LCD displays in the USA through business-to-business sales outlets. The Sharp family of offerings makes it easy to select the solution that best fits your display and presentation needs. Sharp 80″ AQUOS BOARD Interactive Display System with Featherlight Touch – Sharp delivers a breakthrough in capacitive touch-panel technology: the new PN-L803C AQUOS BOARD interactive display whiteboard. The PN-L803C display revolutionizes the way you collaborate with colleagues or classmates. Sharp 60″ AQUOS BOARD Interactive LCD Display System – A smart display that’s built to enhance communication. Whether you’re in a classroom or a meeting room, it can sometimes be a challenge to keep everyone focused and engaged. Sharp 55″ Full HD Professional Display- Sharp’s 55″ Class (54.6″ diagonal) full high-definition PN-V551 professional LED monitor allows you to build video walls with exceptionally thin 3.5 mm* ultra-slim bezels that will complement virtually any commercial or public space. With a 70-inch class (69.5 diagonal) screen and support for 4K Ultra HD (3,840 x 2,160-pixel) resolution, the Sharp PN-H701 offers the size and image quality to make a major visual impact. Sharp 60” AQUOS BOARD Interactive Display System – Designed for smooth and effortless communication, the PN-L603W includes built-in wireless connectivity to enable different devices to connect easily. Transform your workspaces to create human-centric experiences and get the attention of your employees with display technology that fits your needs.